The Exstreamer 105 family of products decode IP Audio streams and play out the received Audio signal to amplifiers or speakers. Supporting a large number of protocols, encoding methods and application specific firmware, the products can be used for Broadcast, Internet Radio, as well as VoIP applications. Control and local storage interfaces are device specific to match different use cases. 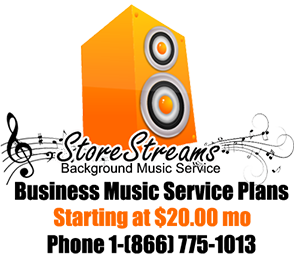 The Exstreamer Store&Play “Streaming” automatically downloads audio tracks and playlists via IP networks and schedules the playback of the received audio files. Supported by an application specific firmware, this product is designed to be used for In-Store background music and ad insertion, as well as for other use cases that require the playback of scheduled items without relying on a live Internet radio stream. 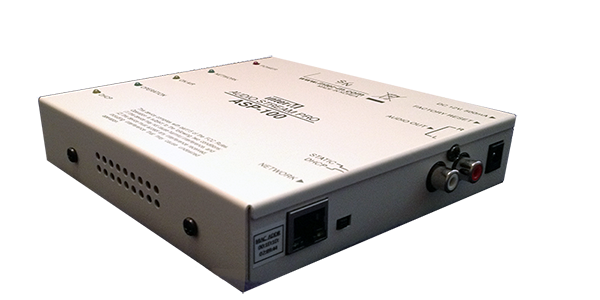 The Exstreamer 100 family of products decode IP Audio streams and play out the recieved Audio signal to amplifiers or speakers. Supporting a large number of protocols, encoding methods and application specific firmware, the products can be used for Broadcast, Internet Radio, as well as VoIP applications. Control and local storage interfaces are device specific to match different use cases.